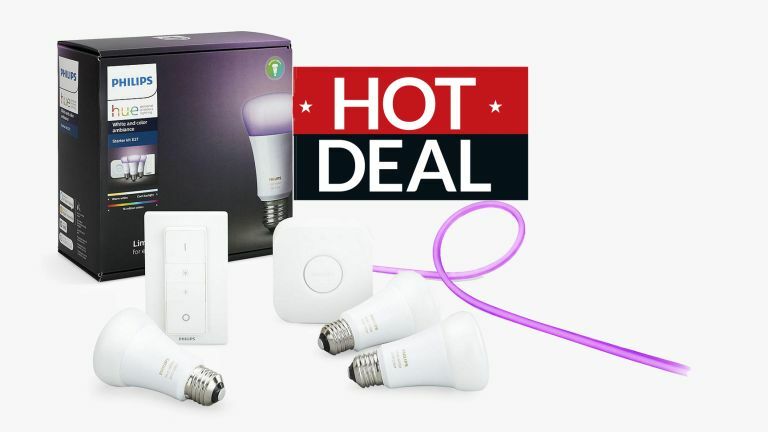 Philips Hue lights are the best smart bulbs on the market today, which is why this brilliant bundle deal over at John Lewis is definitely worth a look. You get the Philips Hue Starter Kit (which includes three colour-changing Hue smart bulbs, the Philips Bridge needed to control them, and a Philips Hue Dimmer Switch) as well as the Philips Hue Lightstrip, bundled together for £69.99 less than if bought separately. You also get an included 2-year guarantee. Like the look of that Philips Hue deal but aren't sure which of the marker's smart lights will be best for you? Well, in that case be sure to check out T3's incredibly detailed and authoritative Philips Hue lights, bulbs and accessories guide, which runs through every single smart home product the company makes.